Pro Wet Lube is a long-lasting, high-performance lubricant adapted to extreme weather conditions. Made from synthetic easter and anti-corrosive additives, its highly water-resistant formula offers metal parts lasting protection against rust and wear. 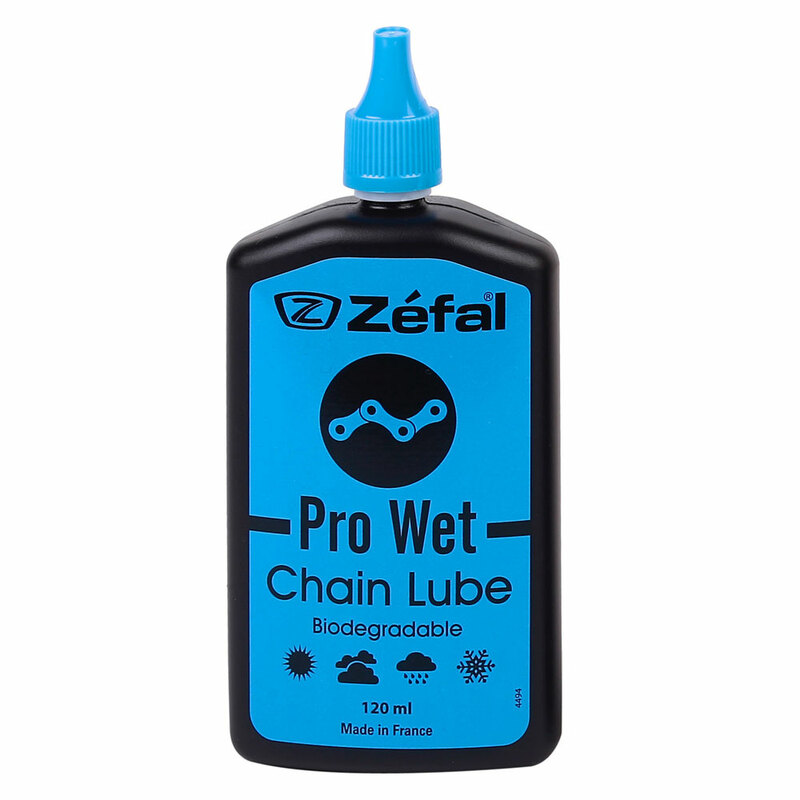 The lubricant biodegrades quickly, ensures smooth drivetrain function and reduces the occasional noises occuring over long-distance rides. All Conditions: Effective no matter what the conditions are.